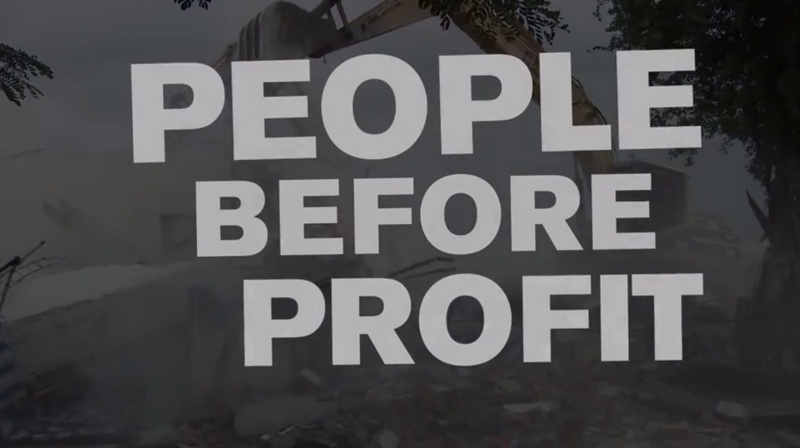 September 2012 | Just days ahead of World Habitat Day, WITNESS launched a global forced evictions campaign video, People Before Profit. The video is a compilation of footage from our allies and partners around the world and offers personal stories of how forced evictions impact individuals and communities, as well as provides positive examples of how activists are responding to the issue. People Before Profit is available in over 12 languages, click on “CC” to view the video below with subtitles. The concept of the video came together in May 2012, when WITNESS participated in a Global Forced Evictions Convening organized by ESCR-Net and Habitat International Coalition in Johannesburg, South Africa. The convening brought together over 40 social movement leaders, activists and experts from around the world to discuss strategies and tactics against forced evictions. Read more about the video and the campaign on the blog.